Lock in a great price for Tre Archi B&B – rated 8.9 by recent guests! 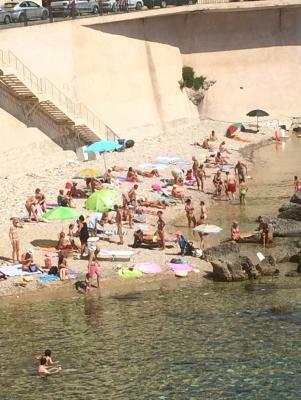 Great location in the heart of the tourist area. Staff could not be nicer. Although difficult to get to the location more than compensates. Very old area. Don't let the exterior fool you, it is nice, clean and comfortable. The staff was very kind and helpful. They set up parking in a garage a few blocks away. Generally driving is difficult in such a small city. But the parking garage was key, although it was 15€ a day. 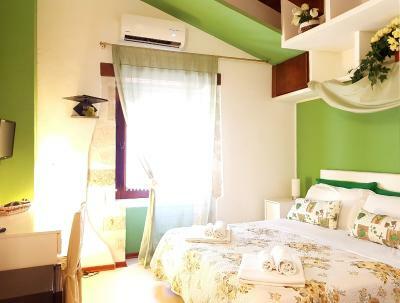 The room was very comfortable, the air conditioner was brand new and worked well. And we both slept well in the comfortable bed. 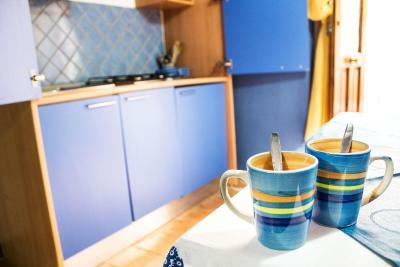 The B&B is located on a lovely ally, and right in the heart of Ortigia. Oritigia is such a beautiful city, we truly enjoyed our time there. 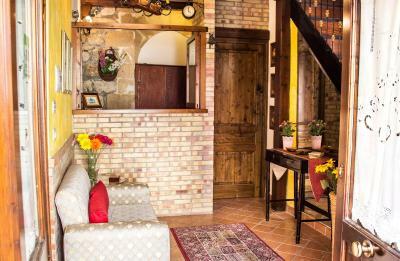 This is simple but at 60e per night for a couple, with a pet and including breakfast AND very helpful and friendly service, it is a great deal. Location 100% YES. Super friendly staff! Everything was well explained, many tips for good restaurants and spots to check. Comfy bed, very clean, and the location was super good! Carlo was an excellent host -super friendly, had good English and went out of his way to make our stay memorable. The bed was very comfortable and we had everything in our room that tourists need to make it a good holiday. Carlo and Teresa were wonderful hosts who maitain an extremely clean and comfortable B&B. They were able to direct us to restaurants, sights, and places of interest. Carlo arranged transport for us to and from the airport which was fantastic. The daily market is not to be missed - wonderful colour, sounds and atmosphere. 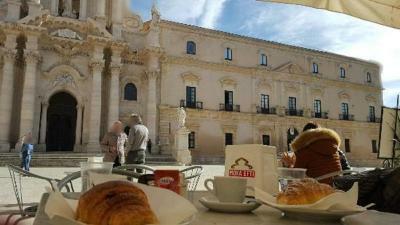 Tre Archi is located in the historical center of Siracusa, 150 feet from the cathedral. 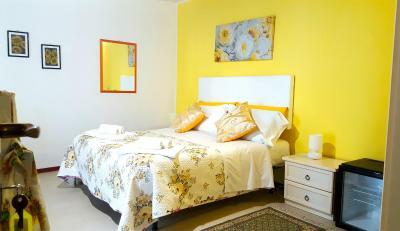 It offers rooms and self-catering accommodations with free WiFi in all areas. Each accommodations features a TV, air conditioning and a wardrobe. 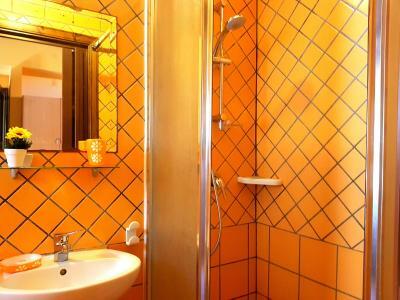 Featuring a shower, the private bathroom also comes with a hairdryer, slippers and towels. Breakfast is served at a partner bar located 350 feet from the property. 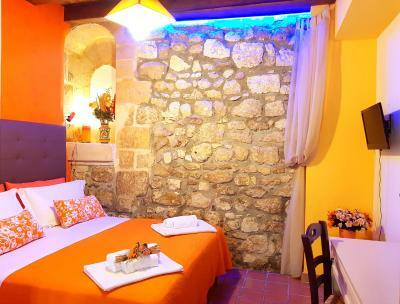 Maniace Castle is a 10-minute walk from Tre Archi. 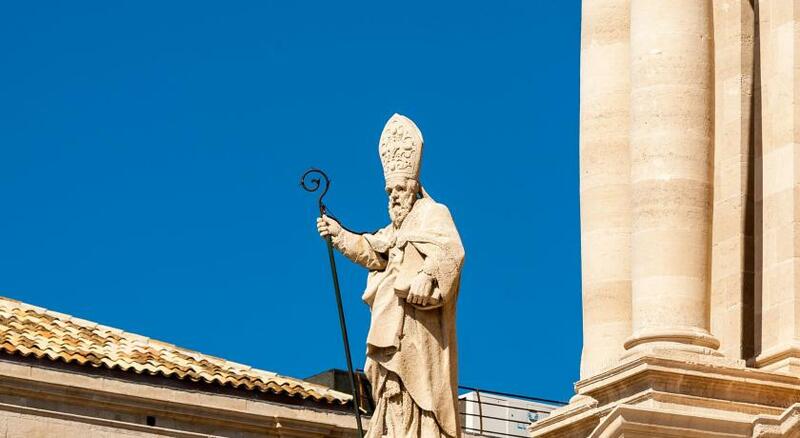 Siracusa Train Station is 0.9 mi away. 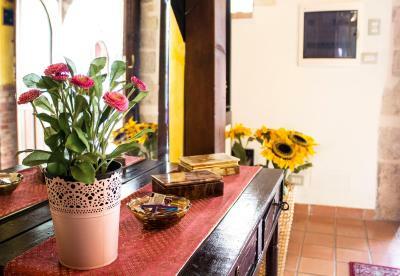 When would you like to stay at Tre Archi B&B? This room features a flat-screen TV, air conditioning and a wardrobe. The private bathroom comes with a hairdryer, slippers and towels. WiFi is free. It is set on the first floor. 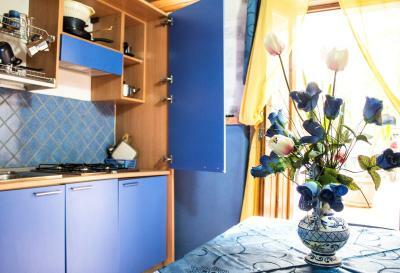 With a double bed and a single bed, this studio features a TV, air conditioning and a simple kitchenette. The private bathroom also comes with a hairdryer, slippers and towels. WiFi is free. It is set on the ground floor. House Rules Tre Archi B&B takes special requests – add in the next step! ATM card Tre Archi B&amp;B accepts these cards and reserves the right to temporarily hold an amount prior to arrival. Tre Archi B&B accepts these cards and reserves the right to temporarily hold an amount prior to arrival. Please inform Tre Archi B&B of your expected arrival time in advance. You can use the Special Requests box when booking, or contact the property directly using the contact details in your confirmation. No plastic flowers in the room, seems like a dirt nest. That's all really. Sounds of walking around and using the toilet above our room. Also we were told the welcoming glass of wine was finished when we were not offered any??? The room did not have tea making facilities, but Carlo promptly supplied an electric jug when we asked for one. This is something the B n B could supply in each room. The parking is virtually nil nearby, so we are pleased we chose a 15 Euro per day private underground park (Carlo's recommendation). Best location and very helpful staff. The shower in the Yellow room was a bit on the small side and made it a bit difficult to shower. However, the room was spacious and clean. It was simple accommodation and the bathroom could use an update. 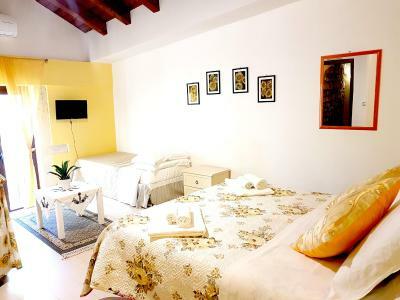 Property is meters from via Roma and one minute from the duomo. Room was small and bathroom was a little primitive, but the location made up for any minor shortcomings. Fridge in the room was a nice touch. Clarify directions to property and parking. It would probably be easier to provide landmarks and distances to get to property. It is a very old charming city but getting to a very old charming city with a car can be a challenge. The only thing I feel would improve the experience is a coffee in the morning, though there are many coffee shops very close by it would be nice to have a coffee and / or breakfast on location. Location of the Tre Archi is excellent, just off a very narrow street, with lots of lovely boutique shops and restaurants within 100m. We drove our five scooters through the archway, into a small shared courtyard, unloaded our belongings and then went to park them in the previously reserved garage, around 200m away. This cost Euro 10 per scooter per night. 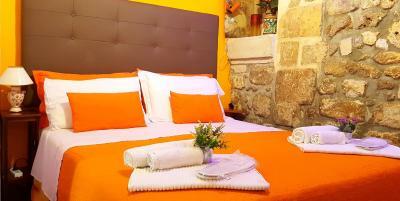 Our rooms were very clean, enough towels to go round, very comfortable bed, water pressure in the shower very good. One of the rooms our party was given even had a small kitchenette in it, plus a small verandah. The staff were extremely welcoming, friendly, polite, English speaking other than Italian of course. 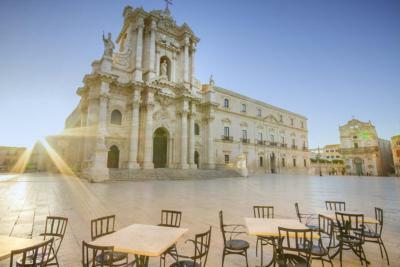 I would highly recommend this place for a stay of any length of time, and would stay there again if I ever had to go back to Ortigia.